I showed you this picture last week and told you I would share how I use these tools. These are referred to as creasing tools, rubbing tools, or sometimes a hera marker. 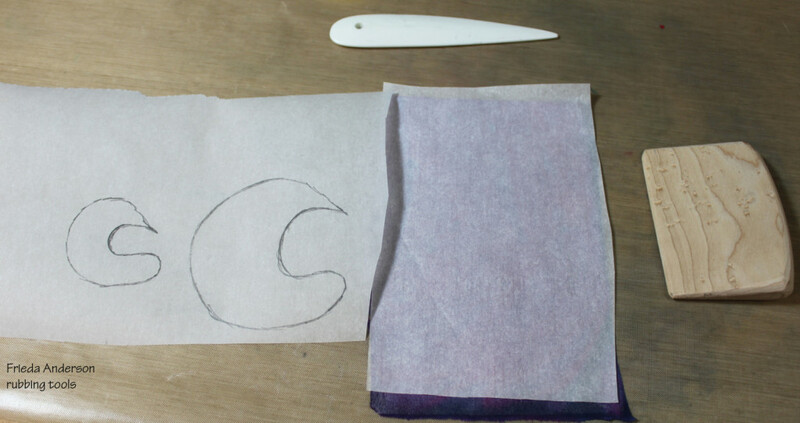 They are good for lots of things, but the way I use them the most is to transfer pencil lines to the back of my fused fabrics. 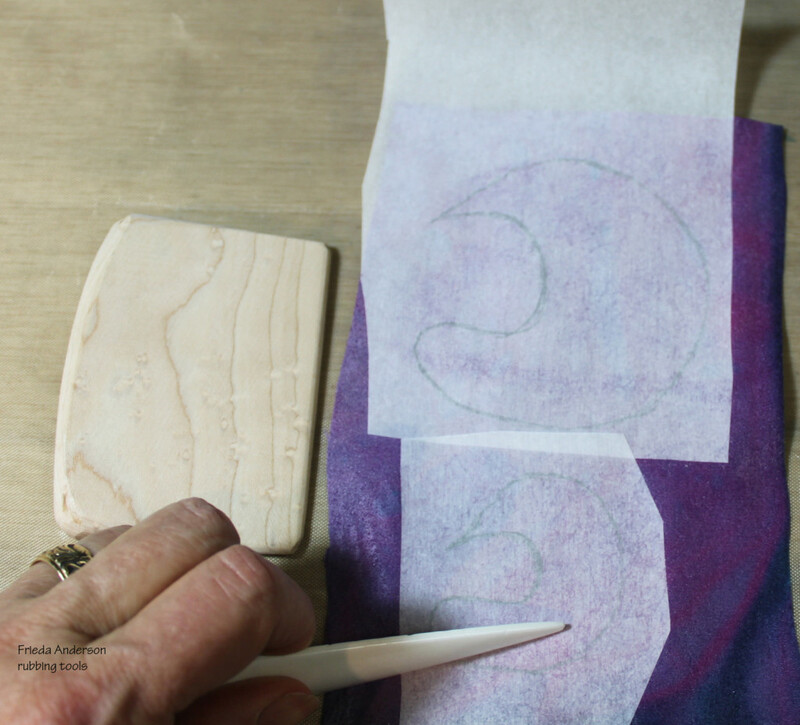 I use parchment paper or the “release” paper from the Wonder Under ® fusible web that I like, to trace around a design that I want to cut out of fused fabric. I trace the design using a pencil. The fabric in the picture is silk, but cotton works just the same. 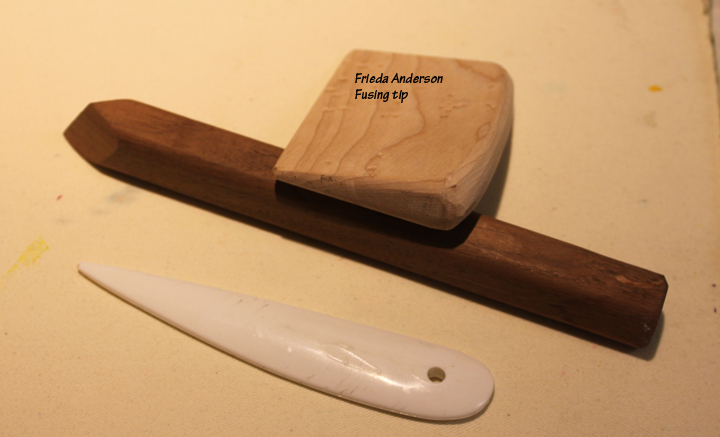 Then I place the “marked” side of the paper against the “fused” side of the fabric and I rub it with one of these tools. 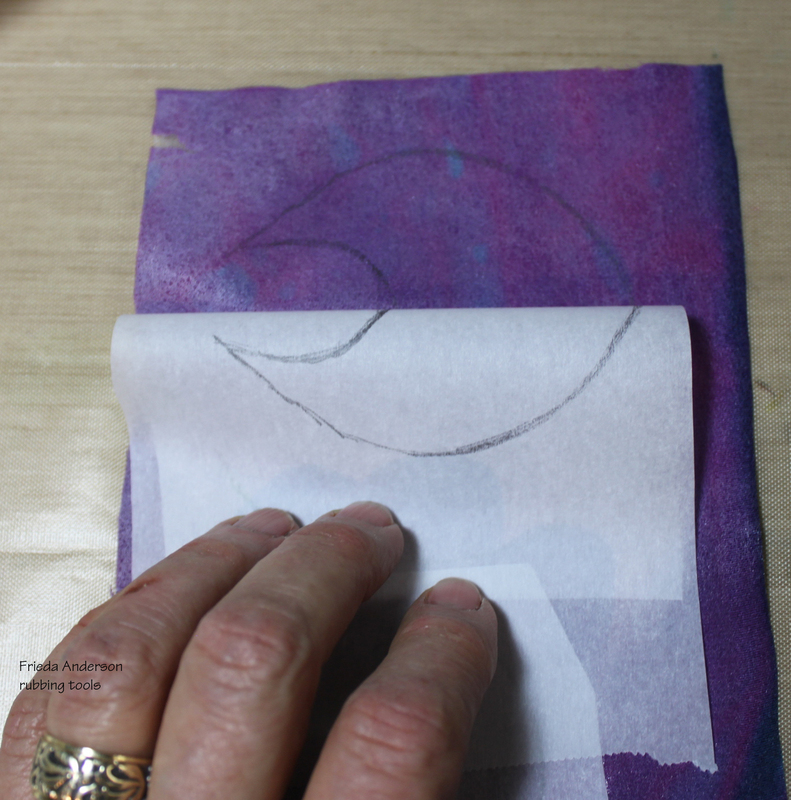 Once I have rubbed the pencil well with one of these tools, or my finger nail, or an old credit card, the pencil line will transfer to the back of the fused fabric. 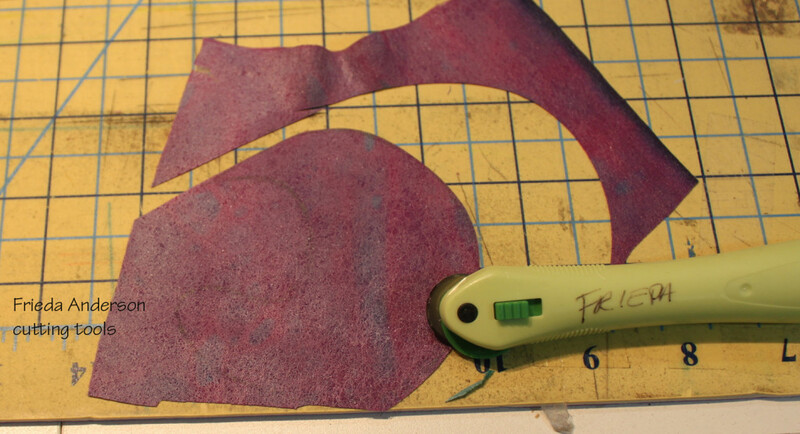 I gently peel back the paper to make sure the design has transferred before I remove the paper completely. If it didn’t transfer well, rub it again before you shift the paper so the marks are still lined up. Now I can cut it out. I often like to use the small 18mm rotary cutter to cut shapes with, that way I get a nice clean smooth line with out scissor marks anywhere. This is the piece I am working on right now. 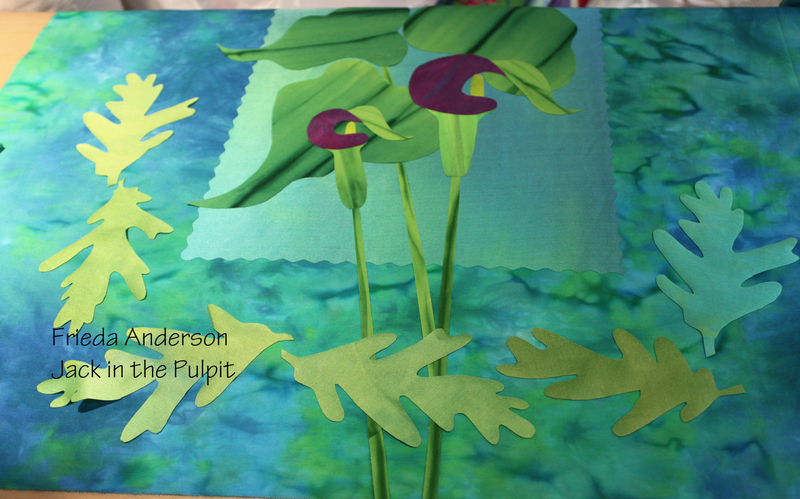 A larger version of one of my Jack in the Pulpit designs using my hand dyed cottons and silks. I hope if you are there you will stop by my class room and say hello.